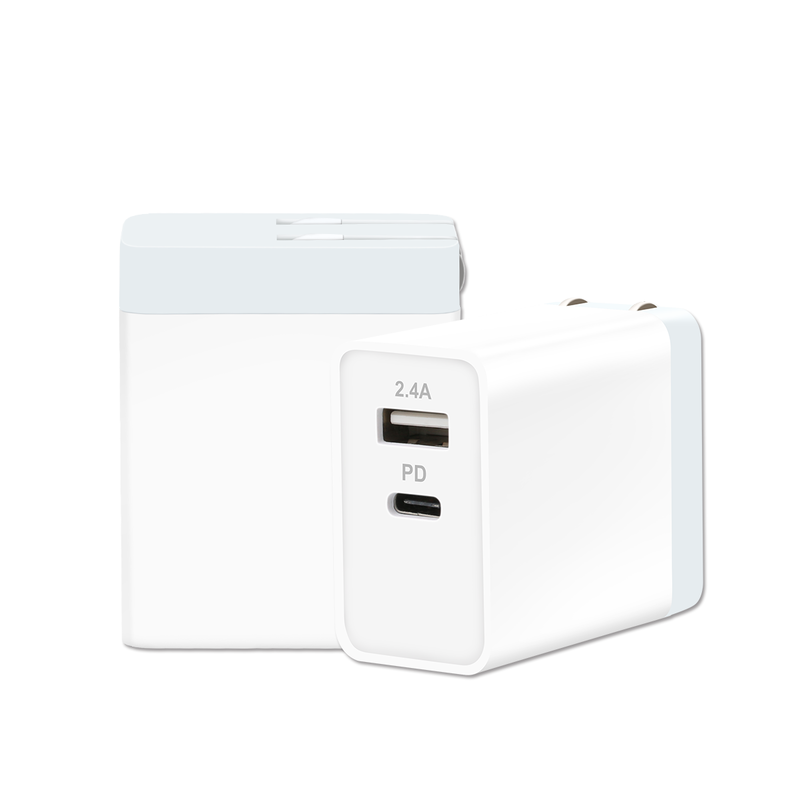 30W USB-C PD Fast Charger + 2.4 Amp MAX USB Charger. 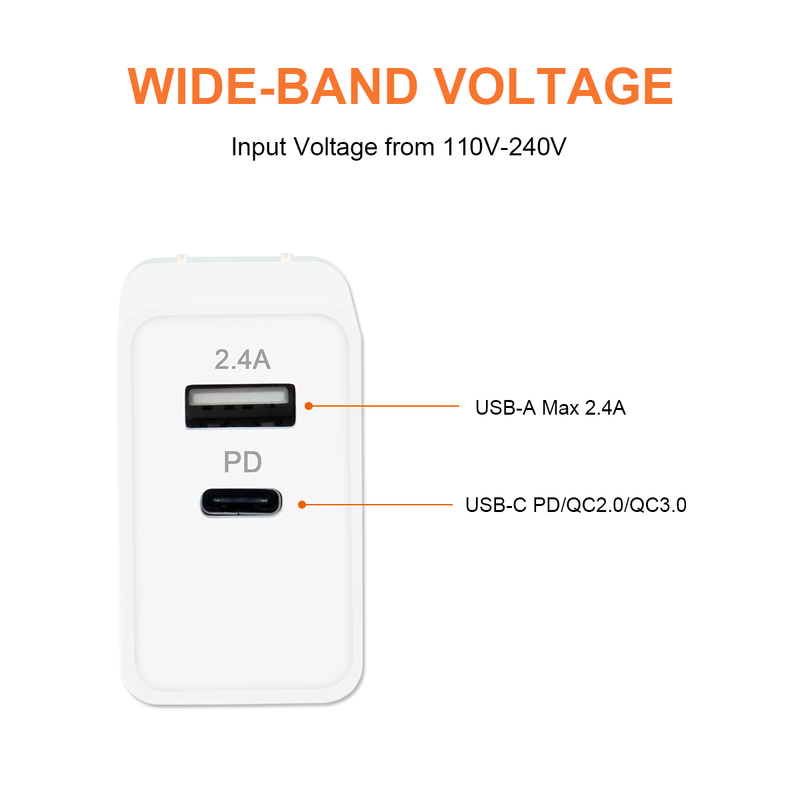 Type-C port:USB PD 2.0 Power Delivery,30W Max Smart Output. USB Port:2.4 A MAX Output. Output short circuit protection. Built-in over-current. Over-voltage protection.Overheat protection. Operating temperature 0 ℃ ~ +50 ℃. Storage temperature -20 ℃ ~ +85 ℃. 100% full load aging products. This product is suitable for mobile phones, tablets, digital photo frames, humidifiers, air purifiers,electronic refrigerators, LED lamps, security, massage, etc. For Microsoft, Zune,cell phone,PDA,digital camera/camcorder and more.